Fish and steaming? Honestly, I wish I can do it often, but no (Hong Kong Style Steamed Fish). Not in my Indian house. Can't be regularly, I won't mind actually, but not for my Indian half-half and also, when we talk about fish and steaming, all of us must meal together. You can't steam fish and then pinch in and then leave the balance for the rest? Not to say you can't, but not a pleasant sight and you know right how it will be? Somehow the whole thing to steaming and fish must be something you tuck into right away? Of course, unless we are talking about other styles to cooking fish? 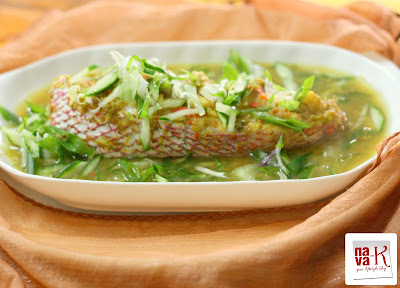 Those we can cook ahead and tuck into when we feel like (Asam Pedas Ikan Bawal & Chilli Lime Fish). But as far as I know, Chinese dishes on the whole must be eaten once they are cooked. That's why Chinese people cook twice a day unlike us Indians who generally cook once and we can tuck into the same food for dinner (Kailan Oyster Sauce). For the Chinese, there is no such a thing as keeping the leftovers, unless maybe if you are not particular (Chinese Winter Melon Soup, Egg Foo Young, Chinese Fried Rice, Yong Tau Foo, Chow Mein & Tea Eggs). This Teochew Steamed Fish on this particular day? For a change for our dinner for the both of us. Actually, come to think of it, my other half-half didn't mind. Teochew Steamed Fish kicking in the big, bold and punchy tastes. Spiciness of course as usual, is not only his favorite, mine as well. Wash fish and place on a steaming tray. Pour the chilli coriander mixture all over the fish. Remove and garnish with spring onion and slices of cucumber/zucchini. Another simple and appetizing dish! wow I think this dish is very appetizing. i know it for a fact that i would love this dish for sure. 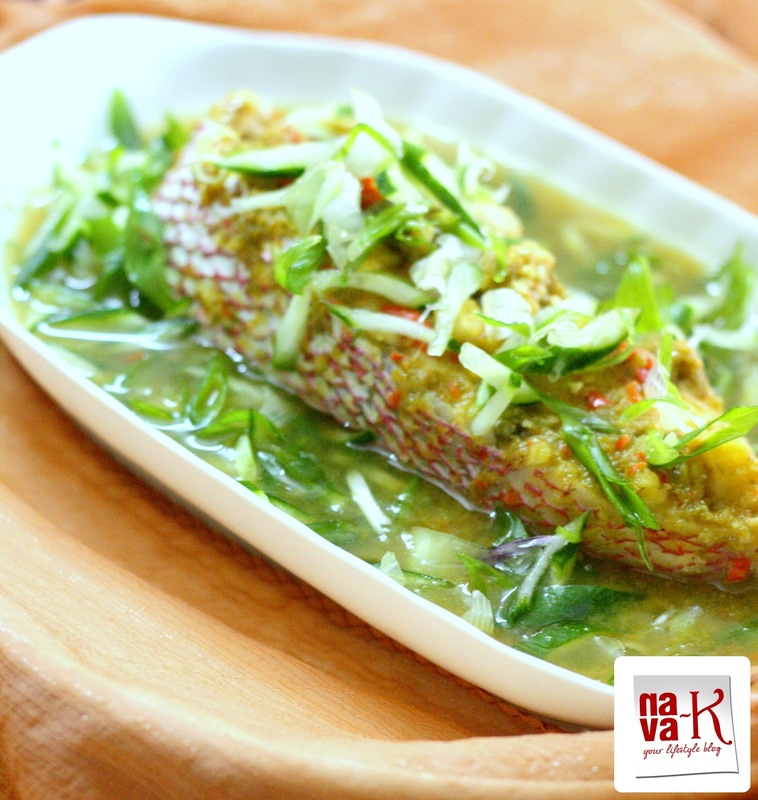 Lemony, coriander,hot and sour with a hint of sweetness, this is my kind of dish! You are the roll doll with amazing great dishes we all want to try this is so appetizing and delicious. Amazing .. You made the fish curry even more delicious! !